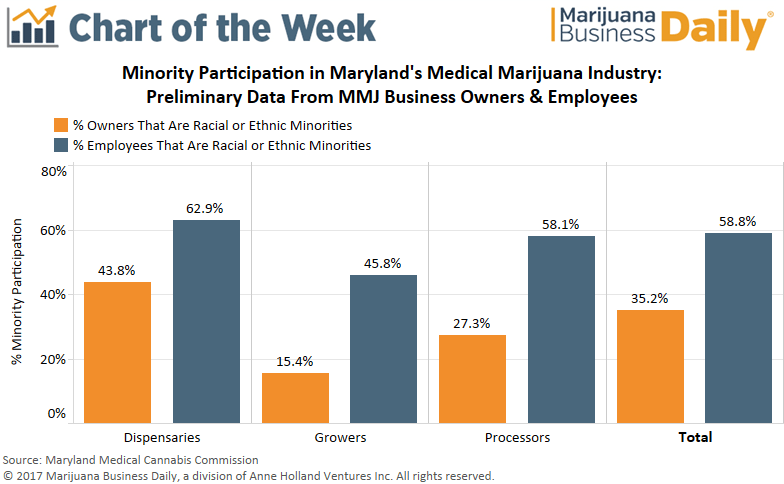 Over 35% of those with an ownership stake in a Maryland medical marijuana company – and nearly 60% of those employed by MMJ businesses – are racial minorities, according to preliminary data released by the Maryland Medical Cannabis Commission. But some industry watchers believe those numbers don’t tell the whole story and still contend that the state failed to adequately ensure racial diversity when licensing MMJ businesses. Four years after Maryland legalized medical cannabis, sales through licensed dispensaries finally began last week. The licensing process for cultivators, however, was delayed by a legal challenge. A cultivation company that failed to win a license is arguing that the Maryland commission did not consider an applicant’s race when handing out the preliminary grower licenses – a requirement spelled out in the initial law legalizing MMJ. Though sales are underway and final licenses have been awarded, the issue of racial diversity in Maryland’s MMJ industry hasn’t been resolved. State lawmakers will consider “emergency legislation” to expand the MMJ program industry when they reconvene early next year. Maryland’s commission released diversity data in June based on survey responses from 79 preapproved MMJ businesses. A total of 321 business owners and 238 employees were considered as part of the survey, which will be conducted annually. 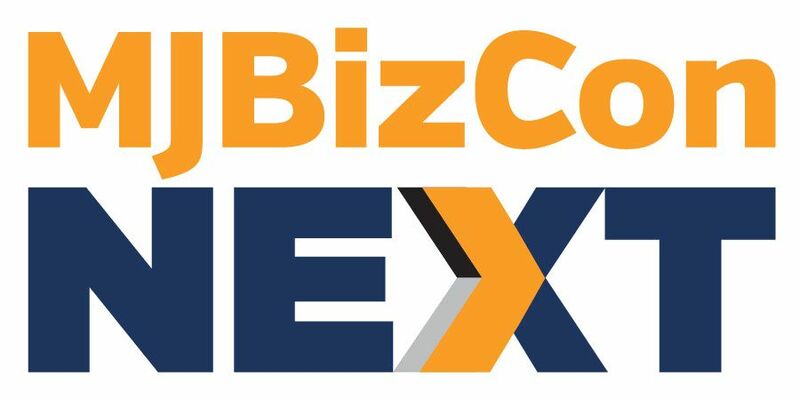 Most businesses participating in Maryland’s MMJ industry were included in the survey. Eleven growers, nine processors and 59 dispensaries provided demographic data, representing 73%, 60% and 58%, respectively, of all companies granted preapproval. The survey data reflects the percentage of respondents who have any ownership stake in a business, not necessarily a controlling stake. For example, 10% of a business may be controlled by a racial minority, meaning the business has a minority owner but is not minority-owned. A national survey of cannabis business owners and founders conducted by Marijuana Business Daily last August found that 19% of respondents who launched a cannabis business and/or have an ownership stake in a marijuana company are racial minorities. Though Maryland’s efforts to boost diversity in its MMJ program have been criticized, the data clearly shows a higher rate of minority ownership in marijuana businesses relative to the national average. It’s also important to note that Maryland’s diversity data refers only to plant-touching businesses, whereas the MJBizDaily survey includes ancillary companies – like marketing firms or law offices – where the rate of minority business ownership is higher. See how the growers are running scared? Uh-huh. . . . That’s where the laws are the worst. So time for a serious dedicated legal defense fund, huh. . . . Becuz here comes the Sessions monster. Here I thought we put affirmative action to bed decades ago. Whining non-minorities… RACE should never be an issue and NEVER be a part of deciding who can/should be an owner in any cannabis related business. Shame on Maryland. Agree in general ethnicity origins conflate the issue(s).. I kindly recommend considering an expanded worldview including the evidence demonstrating minority communities have paid the largest share of cannabis prohibition. It’s a well-documented fact that minority communities have been disproportionately impacted by cannabis laws. Blacks use the plant at roughly the same rate as whites [figure 21] but are 3.5 times (350%!) more likely to be arrested, on average [figure 10]. In some states like Iowa, the arrest rate is 8 times higher for blacks! Here’s the deal. . . . .
1) If everybody who wanted a license, could get a license, the market would be flooded. 2) Due to the cost of starting up, money can only come from people with access to it. The Oakland equity program, ensures that an individual from Oakland is a 50% owner in order to fast track the license process and get ahead of all the other people jockeying for a limited number of licenses. lien, or encumbrance) of 50% or more of the entity. similar entity, constitutes or constitute a majority of the board of directors. iii. With respect to collective has or have a controlling interest in the collective’s governing body. (ii) was arrested after November 5, 1996 and convicted of a cannabis crime committed in Oakland. Please provide supporting documentation as described below. months of pay stubs, current Profit and Loss Statement, or Balance Sheet. Department of Corrections or Federal Bureau of Prisons documentation. residence address in applicable police beats.
? Utility company billing and payment covering any month in each of the ten years. Let’s not forget about the need for you to describe, how much you get paid, what odor mitigation you will have and what city beautification program you will sponsor. While equity initiatives are to be encouraged, so far the discussions are not truly equitable or inclusive or true diversity. Diversity is never the exclusion of federally recognized socially and economically disadvantaged groups. Where is the inclusion of disabled? There seems to be lack of diversity. This is certainly odd given that the marijuana industry is seeking federal recognition. Ignoring federal standards around diversity is certainly not the way to obtain credibility. Excluding entire categories of diversity is not equity, but selective and preferential treatment.